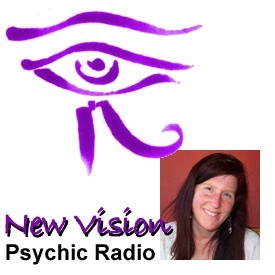 New Vision Psychic Radio was perfect listening for me at this point in my life. I am working on learning to "listen" more to the Universe around me, not just look for clairvoyant visions. Michelle helps you see how valuable reading our environment is for guidance, and how textured and beautiful it is. Michelle is a balanced and genuine intuitive podcaster. She is clear and concise, giving examples and anecdotes that frequently lead to ah-ha! moments. An absoulute delight to listen to.